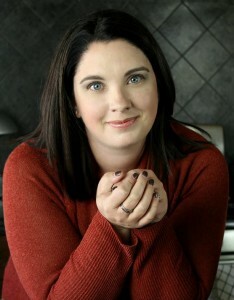 Claire Turner has always wanted to be a mother. Together with her husband, they make up a children's book author/illustrator duo - so after all they'd make the perfect parents. Except that Claire can't seem to get pregnant. Plagued by the regret of putting her first born up for adoption when she was a teenager, Claire now feels that she'll never have the opportunity to have the one thing she's always wanted - a child of her own. When a miracle pregnancy occurs, Claire and Josh are overjoyed. Until Claire's health begins to deteriorate and they're faced with the heartbreaking dilemma of saving Claire's life or saving their unborn child's. 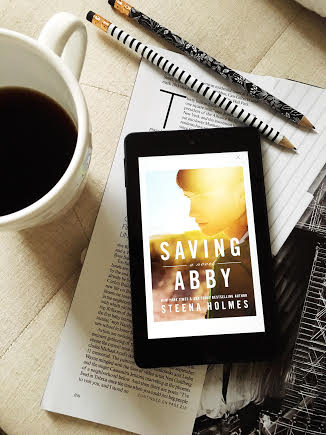 Steena Holmes' heartbreaking story of a mother who will do anything to save her unborn child is sweet and touching. If you've ever been a parent, you know the lengths you'll go to protect your children from harm. For Claire, that meant enduring incredible pain to protect her unborn baby and the effects of her choice on her husband, family and friends. I think this is a book that many women could relate to and Claire is the type of character that is easily empathized with. The supporting cast is a somewhat typical display of small town citizens, which lends to the charm of this book. It's not heavy literary fiction - and although it tackles some moral issues, it wouldn't really be classified as anything other than your average run of the mill general fiction. But despite its predictability I found Saving Abby to be a charming little book. It's a quick read, so perfect for a leisurely afternoon or weekend.